Fresh from smash critical successes of The 400 Blows, Shoot the Piano Player and Jules et Jim, Truffaut was contemplating what to do next when he, along with Shintarô Ishihara, Marcel Ophüls, Renzo Rossellini and Andrzej Wajda, was approached to be part of the anthology film Love at Twenty. 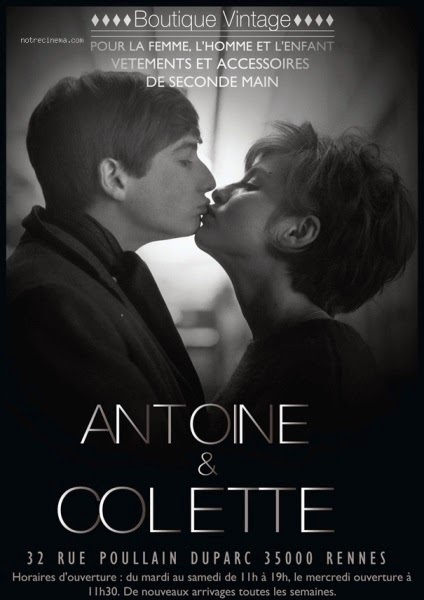 And voila, he decided to renew his association with his alter-ego Antoine Doinel and muse Jean-Pierre Léaud for the sparkling, semi-autobiographical short Antoine et Colette. Working at a Phillips record manufacturing unit in sync with his love for music and leading a solitary life in Paris, 17-year old Antoine spends his evenings attending music performances and seminars with his childhood friend René (Patrick Auffay). One day, while attending a Berlioz concert, his attention is drawn to Colette (Marie-France Pisier), a beautiful high school student, and falls in love with her. However, despite his valiant attempts at impressing her by taking her to music conferences and even moving to a hotel facing her apartment, all he ends up doing is befriending her parents (François Darbon and Rosy Varte), as Colette doesn’t get romantically attracted to him despite their growing friendship. Based straight out of his life – 17-year old Truffaut, while attending a screening at Cinémathèque Française, had met and fallen head over heels for a dazzling girl named Liliane Litvin, and had unsuccessfully pursued her with a lot fervour along with her fellow suitors Godard and Jean Gruault – the short was a delectable watch courtesy its disarmingly simple premise, freewheeling sensibilities, and deft mix of amusing and reflective moments, and set the thematic tone of romantic complications for the rest of Antoine Doinel series. 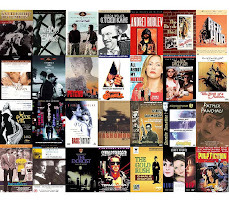 Though Chabrol’s Le Beau Serge is considered as the 1st French Nouvelle Vague output, along with Godard’s Breathless and Resnais’ Hiroshima Mon Amour, The 400 Blows, through which Truffaut transitioned from Cashiers du Cinema to being an auteur, shot the iconoclastic movement to universal attention and marked a watershed moment for world cinema. 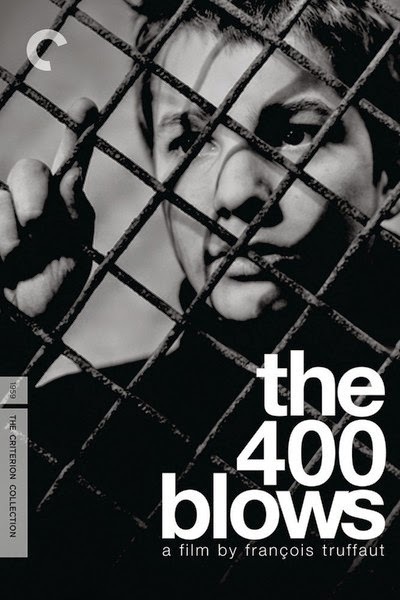 Dedicated to his mentor André Bazin and based on episodes from his troubled adolescence, this was also the 1st screen appearance for Jean-Pierre Léaud, who would reprise the role of Truffaut’s picaresque alter-ego Antoine Doinel in Antoine et Colette, Stolen Kisses, Bed and Board and Love on the Run. 12 years old Doinel lives in a cramped apartment with his self-centered mother (Claire Maurier) and amiable step-father (Albert Rémy), and is perennially at the receiving end of his school teacher’s (Guy Decomble) wrath on account of his lack of interest in studies. René (Patrick Auffay), belonging to a wealthy but broken family, is his sole friend, and together they escape their dreary lives by skipping school, going to the cinemas and roaming around the streets of Paris. However, what starts as little acts of fibbing slowly escalates and plunges Antoine towards reluctant delinquency, culminating in the heart-breaking run of escape and finally the iconic freeze frame parting shot that marvelously alluded to the indeterminate limbo he’s become sucked into. Freedom, rebelliousness, friendship and the search for a father-figure were the dominant themes of this profound tale of lost innocence. Shot in sparkling B/W and comprising of a haunting score, the tale’s over-arching tragedy was brilliantly punctuated with both humorous and heart-warming moments, making this immensely influential work one of the great examples of ‘personal cinema’. Following Franco’s death, Saura made an opportune return to the dysfunctional family dynamics and associated political allegory of Ana and the Wolves with its timely sequel Mama Turns 100. This wry, pungent and bitingly satirical black comedy provided a vitriolic look at the flight of the morally corrupt elites, dramatic change in stance of the Catholic church and emergence of newer forces of damage hitherto insignificant following the sudden subsiding of the army’s hegemony and iron grip. Ana (Geraldine Chaplin), who is alive (thus making the previous film’s finale essentially a surreal enactment of collective fantasies) and happily married to Antonio (Norman Briski), returns to the countryside manor where she’d worked as a nanny many years back, on the joyous occasion of centenary birth anniversary of the family matriarch, Mama (Rafaela Aparicio). On arrival she gradually learns that the autocratic José (José María Prada) is dead, the sleazy Juan (José Vivó) has eloped with the cook but is planning to return following Mama’s pleas, the austere Fernando (Fernando Fernán Gómez) is now learning to fly a glider, and the house is now being run by Juan’s conniving wife Luchi (Charo Soriano) who’s embezzling Mama’s money with the aide of one of her scheming daughters and is plotting her murder along with the self-serving Juan and the nincompoop Fernando. Meanwhile, the stunningly beautiful Natalia (Amparo Muñoz), another of Luchi’s daughters, seduces Fernando, thus adding a streak of marital drama to the proceedings. Though lacking the political immediacy and power of the earlier film, the strong elements of bristling parody and murky deception made this a corrosively funny watch. 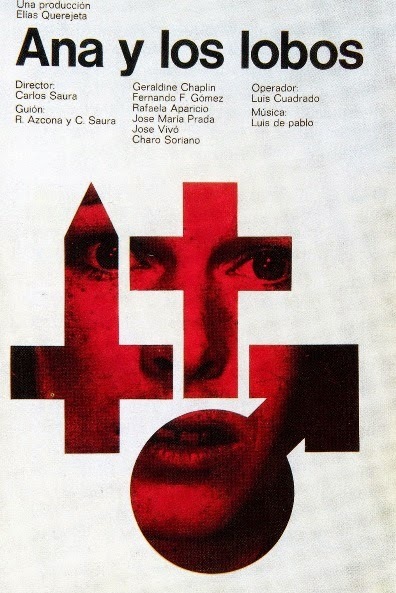 Saura’s use of visuals, music and actors were as brilliant as ever. Ana and the Wolves was Saura’s damning and his most brazen indictment of Franco-era Spanish socio-political milieu in terms of the deeply problematic and self-serving alliance between the triumvirate of military, bourgeoisie and church. The harsh, masterfully and brilliantly allegorical film was filled with lacerating political metaphors, sharp satirical overtones and pungent black humour, and was followed by a sequel, viz. Mama Turns 100, 6 years later following Franco’s death, which, too, was nearly as vitriolic in its caricature of power structures. Ana (Geraldine Chaplin), a young American lady, finds herself in the midst of an incredibly convoluted and dysfunctional family when she arrives at a completely isolated mansion located in the middle of nowhere in order to be the governess to three young girls. 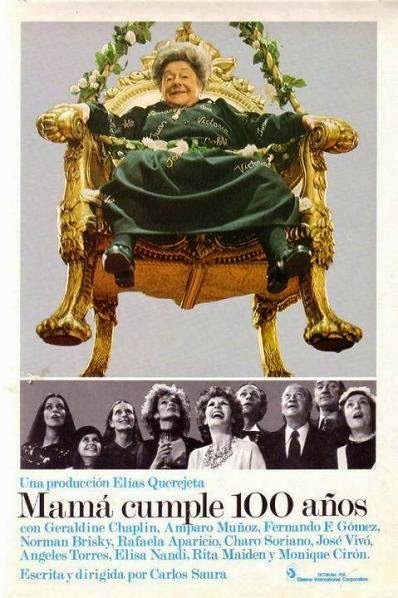 The farcical family is dominated by 3 middle-aged brothers – José (José María Prada), a control-freak autocrat and a stand-in for the military who values order, hierarchy and discipline, and has a penchant for collecting WWII memorabilia; Juan (José Vivó), a sleazy and slimy man who habitually cheats on his wife Luchy (Charo Soriano), and represents the morally corrupt elite; and Fernando (Fernando Fernán Gómez), a hapless, disheveled and bumbling man who intends to shun all material possessions and retreat to a cave, and symbolizes the Catholic church; their clinically obese and death-obsessed mother (Rafaela Aparicio) literally sits over their heads as the family matriarch. The bemused well-travelled foreigner Ana, taking advantage of the 3 convoluted brothers' feelings, start playing with their eccentricities and fetishes, until this amusing game reaches a shocking crescendo through fulfillment of barely suppressed fantasies in this powerful, disturbing, provocative and fabulously shot, scored and enacted film. Saura’s first film following Franco’s death and Spain’s painful emergence from the iron grip of fascism, this was the concluding chapter of what I have decided to refer to as ‘Trilogy of Memories’, considering the dominating thematic and narrative devices in the 3 films. In Cria Cuervos nearly the entire duration was based in flashbacks, while in Cousin Angelica it alternately transitioned between actual and memory; Elisa, Vida Mia, the least political and most introspective of the trio, was shrouded by ramifications of the past even if it was largely set in the present. Marital and father-daughter relationships formed the key thematic elements in this deeply personal meditation on regrets, loneliness, mortality, infidelity and the elusive pursuit for reconciliation with one’s past and present. Luis (Fernando Rey), an ageing writer and school teacher, lives in complete isolation at a secluded farmhouse in Castille. 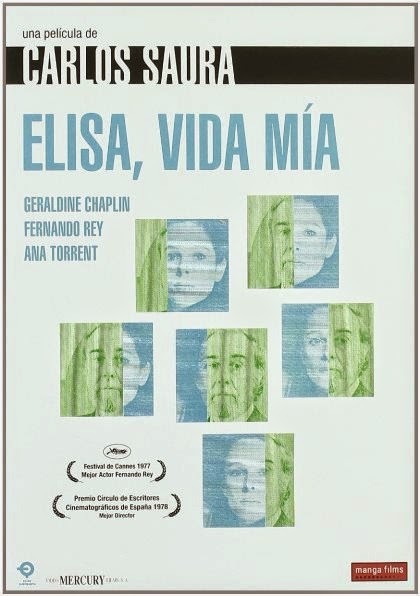 While recuperating from a surgery, he receives a reluctant visit after 20 long years from his estranged daughter Elisa (Geraldine Chaplin), which starts the slow rekindling of the bond between the seemingly gregarious but essentially pensive father, and the emotionally vulnerable daughter struggling between suppressed memories of her parents (Chaplin also played the mother while Ana Torrent, in a very brief appearance, played the younger Elisa) and her failing marriage to Antonio (Norman Briski) who might have cheated on her with her best friend. 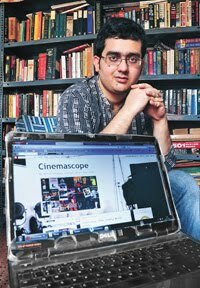 The meta-narrative, which seamlessly veered between reality, dreams and fantasy, and oftentimes blurred the line between Elisa’s ‘real’ life and the chronicling of it in Luis’ novel, was imbued with a downbeat and existential tone, and was aided by the moody photography, highly evocative score, and a towering central performance by Rey.